The beginning of 2016 marks the end of the print era in cruise shipping guides, with the news last month the Official Steamship Guide (OSG) has closed its doors. Elsewhere, Carnival Corp & plc stole all the year-end news with the announcement that it was ordering four new mega cruise ships, including the first newbuilding for the Australian market for P&O Cruises, two China ships for Costa Asia and a fourth ship of the “Royal Princess” class. Thus begins 2016. The beginning of 2016 sees the end of the print era as the US-based Official Steamship Guide (OSG) announced that it was closing its doors after eighty-four years. In fact, the “print” version had already ended a couple of years ago when the OSG converted to pdf distribution, but this is really the end of the line. For decades in those pre-electronic and pre-internet days, the quarterly Official Steamship Guide and the monthly UK-based ABC Shipping Guide had constituted the go-to source for cruise listings. The UK guide had first appeared in 1947 as part of the ABC World Airways & Shipping Guide and become the ABC Shipping Guide in 1951, but disappeared in 1998. The first ABC International Guide had actually appeared in 1934, while the ABC Railway Guide dated as far back as 1853. “Nothing is as constant as change and this year we decided to close the Official Steamship Guide after 84 years. The OSG has been in our family since it was started by my husband’s uncle in the 1930’s. “Except during WWII, the OSG was published continuously. During the war, the government didn’t want the enemy to know where the ships were at any given time, so publishing was suspended. “Even after the war, ships were used mainly use to go from one country to the other. It wasn’t until 1959 that travel shifted from ships to airplanes. “The cruise industry had to reinvent themselves and with shows like the Love Boat on TV, cruising became an all inclusive vacation, with the ships being as important as the destinations. Today, we have floating cities at sea. “The internet changed many things, including pretty much all print publications. The availability of online information has made the OSG no longer relevant for the new generation of travel agents. So it is with much regret, that we had to close our business after so many years. “My husband Michael, ran the OSG for 26 years. Due to his failing health, I took over the running of our business 10 years ago. Michael passed away on September 9. 2015. The Official Steamship Guide, whose longevity showed in the continued use of the word steamship even after all such ships were all gone, outlasted its chief rival by seventeen years. 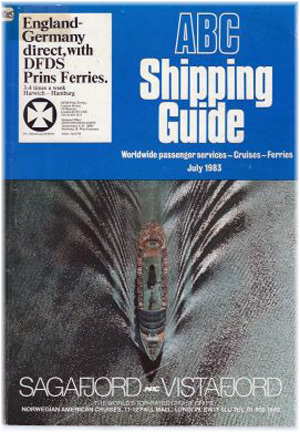 The monthly ABC Shipping Guide became the quarterly ABC Cruise & Ferry Guide in March 1993, and then the OAG Cruise & Ferry Guide in late 1996, after it was acquired by the US-based Official Airline Guide. 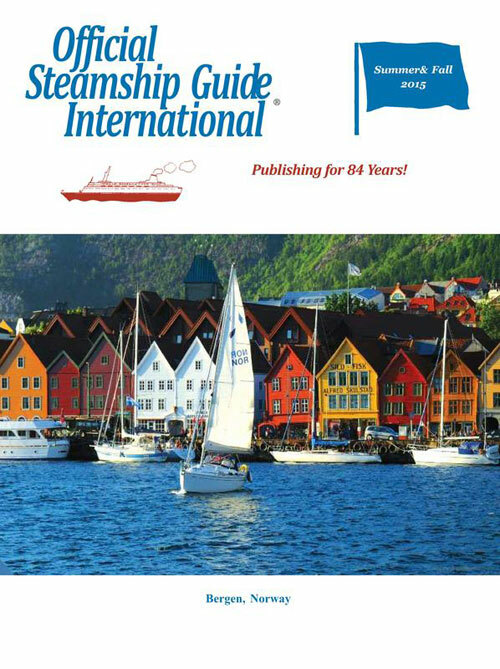 When the UK-based publication closed in 1998, it had left the Official Steamship Guide as the only major print-based cruise guide until it finally succumbed to the electronic and Internet age last month. P&O Cruises Australia has begun the New Year with the historical announcement that it will become the first cruise line to build a ship specifically for the Australian cruise market. The 135,500-tonne cruise ship will be the largest ever to be based full time in Australia, and will accommodate more than 4,200 guests. Based on her size, the new ship would appear to be based on the 4,000-berth Carnival Vista, which is undergoing sea trials this month for introduction into the Carnival Cruise Line fleet in April. To enter service in 2019, the new P&O ship will have plenty of outdoor spaces and double the capacity of the biggest cruise ship currently based year round in Australia. At 1,060 feet in length and with 2,100 staterooms and suites, she will be built specifically for Australia, and will offer itineraries from 3 to 10 days duration. The new ship will be based in Australia year-round, and is the latest in a line of P&O cruise ships that date back eighty-four years to the first South Pacific cruise by the 1,166-berth Strathaird. At the end of her first year of service, on December 1932, the Strathaird left Sydney on P&O’s first Australia cruise, a 5-day excursion to Norfolk Island. 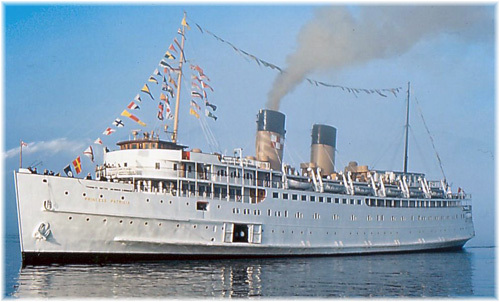 The Strathaird lasted in the P&O fleet until 1961, when the line’s new 1,400-berth flagship Canberra was introduced. P&O Australia’s first cruise newbuilding follows staggering growth in the local market, which last year exceeded a million cruisers for the first time after averaging 20% annual growth over the past decade. The new ship will follow a recent growth pattern that saw P&O Australia’s fleet add the 1,266-berth Pacific Aria and Pacific Eden in November, and will be followed by the 1,950-berth Pacific Explorer, now trading from Australia as the Dawn Princess. 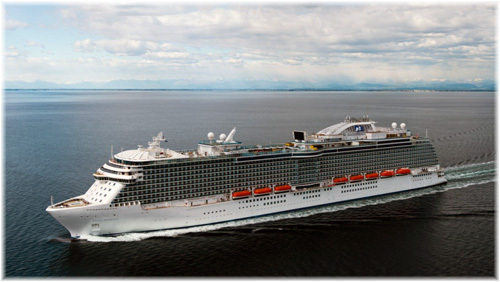 This growth follows the introduction of the 1,596-berth Pacific Dawn in 2007, the largest cruise ship to be based year round in Australia, later joined by the 1,708-berth Pacific Jewel and 1,624-berth Pacific Pearl. With six ships once Pacific Explorer joins the fleet, P&O Australia will have the largest fleet of cruise ships ever to be based in Australia year round. Among four cruise ships provisionally ordered by Carnival Corporation & plc last week from Fincantieri, two 135,500-ton 4,200-berth ships are intended for the fleet of Costa Asia. Like the new ship for P&O Australia, the two Costa Asia ships will be specifically designed for the brand and guests they will serve. The latest new Costa ships will thus be designed specifically for the Chinese market. And also like the P&O Australia ship, these vessels appear to be a development of the “Carnival Vista” class and in addition to her tweaks for China, many of her concepts will likely be adopted from the 3,732-berth Costa Diadema, which entered service in 2014. 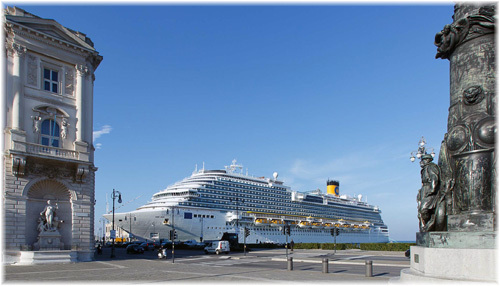 Still in Asia, Costa Cruises will be moving its 1,928-berth Costa Victoria from the China market to Japan this summer, where she will offer a series of ten 6-night cruises for the Japanese market. Elsewhere, Costa returned to the US market at Port Everglades last month after a four-year absence, with its 2,260-berth Costa Deliziosa. Between now and March the Costa ship will be offering a series of six 10-night sailings as well as shorter cruises. The 10-night sailings will call at Nassau or Freeport in the Bahamas, Puerto Plata in the Dominican Republic, Ocho Rios in Jamaica, Grand Cayman, Roatan in Honduras, and Cozumel or Costa Maya in Mexico, as well as offering 7-night cruises to Costa Maya, Belize, Roatan and Grand Cayman. In addition to the two ships for Costa Asia and one for P&O Australia, Carnival Corp & plc has ordered a new 143,700-ton ship for its Princess Cruises brand. Built to carry 3,560 passengers, the latest order will become the line’s fourth “Royal Princess” class vessel. She will feature the same design platform used for the present Royal Princess and Regal Princess, as well as the Majestic Princess, which is scheduled to enter the China market in 2017. And like the rest of the class, 80% of the new ship’s cabins will have balconies. Scheduled for delivery in 2019 or 2020, Princess Cruises stated that the fourth ship of the class would differ in some ways from the Royal and Regal Princesses, introduced in 2013 and 2014, but would not be releasing these details nor naming the new ship’s home port until a later date. Princess Cruises’ celebrated its 50th Anniversary last month, marking the first cruise performed by the chartered 347-berth Canadian Pacific cruise ship Princess Patricia in December 1965. The 700-berth Pacific Princess, now the smallest ship in the Princess fleet, operated a 14-night commemorative cruise from Los Angeles to the Mexican Riviera on the same dates and of the same duration as that first cruise on Princess Patricia. Further celebrations are planned throughout 2016. Each of the new “Royal Princess” class ships measures as much as twenty-four ships the size of the Princess Patricia, and carries more than ten times as many passengers. The cruise line took its name from the small chartered ship, which was scrapped in 1995.